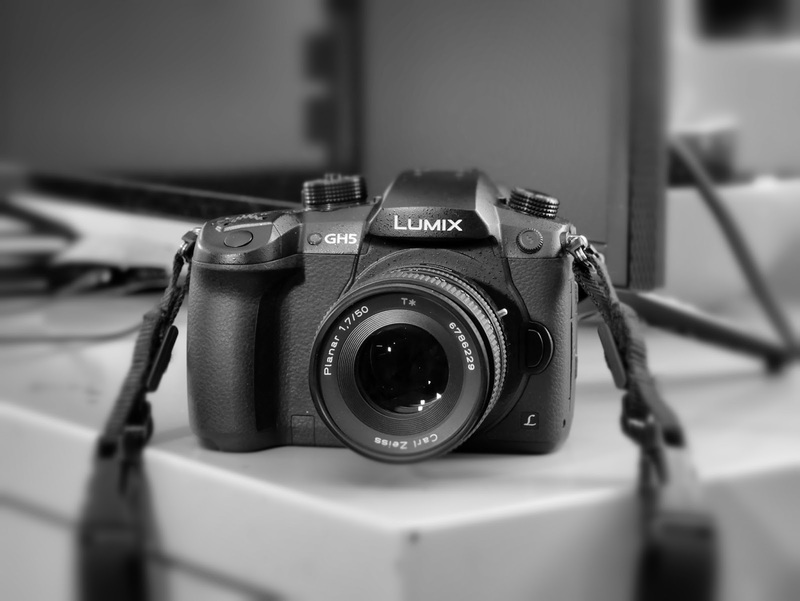 The Visual Science Lab / Kirk Tuck: A more visceral story about using the Panasonic GH5. Not a technically accurate but barren assessment of an interesting camera. This post made me smile for some reason. Wow. Best camera review ever. Thanks Kirk! Hi Kirk, you nailed it. This review is exactly what was needed if you worked for Panasonic and they wanted more pros on their boat - all other paid professionals should copy you ;). I know you are independent and honest and these are your real opinions (I’m following you for many years so I know that). Very good read and it’s a pity that many vendors continue only improving “must-have” specs. I’m not a pro, I have a lesser and slower non-pro camera from the same system (Olympus EM10 mark I) and I hated carrying it around until I added a “huge” grip to feel comfortable to use with my smallish hands and a wrist wrap (my personal way of carrying a camera). It is not a perfect camera by any means (slow operation, smallish battery, dated EVF and resolution, good up to 1600 ISO, “low” 16MP resolution for my perfect skin kids’ headshots - but more than enough for everything else; too few and small buttons, etc) but carrying around? It is now the best thing to date, I’m using in manual all the time to improve my technique - I learned how to work around camera’s minuses and now I know what to ask for my next camera if this one breaks: feel comfortably always. Like you. Thanks, rfeg. Great write up. I just hope the wife is not jealous. Just a quick addition: I have never been paid by Panasonic to write or say anything about them, their equipment or their images. I've never been offered free gear or discounted gear from them and am not a member of any of their professional affiliate programs. I bought all the Panasonic stuff from Precision Camera in Austin, Texas with money earned doing professional photography and video assignments. For the 21st century working pro, it is the ideal tool for making stills and video. For video it kills the competition, and for stills it's way more than enough for what is needed by 99% of clients. Your assessment is right on the money, and money is also a huge factor. The bodies and lenses are quite reasonably priced, for what you get, when compared to FF or APS camera systems. So for today's working pro, you don't have to take out a second mortgage to get into the system, or upgrade the bodies every few years. Yes, they feel great in the hand, and in fact has made photography fun again for me. I can put the camera where I want, and with the articulating screen, can see from any angle exactly what I'm getting. And when I can't see in the camera, I can use the image app to connect and control it via live view from my phone. Having a tool that you like to use makes it more likely that you'll actually use it, and use it well. Well said, Kirk. I've been enjoying Panasonic micro-4/3 cameras since the very first, the G1, which I bought in December 2008. The start of the "mirrorless revolution." And looking back on it from the perspective of 2018, 10 years later, it's amazing how many features that first camera had that are still relevant today, like the EVF and flip-out screen, etc. Keep up the good work. I am considering adding a GH 5 to my kit but wonder how well my Olympus lens will autofocus with it. I know you use manual focus for video. Do you use autofocus for stills? Fascinating reading Kirk. I can't wait to see the man with books in coffee shop photo! Well written Kirk. One of the few camera reviews that I’ve read all the way to the end. After 6 weeks I’m still putting the G9 through it’s paces but I’m very close to proclaiming it as the best camera I’ve ever used. It is the ultimate all rounder for stills. (I’m a novice when it comes to video). Three lenses, Panasonic 12-60 f3.5, Olympus 45-150 f2.8 and 45 f1.8. All set to travel the world. Wait, I am travelling the world with this setup! Thanks for the intelligent post. Anonymous, I use AF for stills all day long in conjunction with Olympus Pro lenses. They focus perfectly and as fast as a bat out of hell. Thanks for the post, Kirk: it was a refreshing and visceral read. Sounds as if you have found your stride in this system, which is great news for us! I recently acquired a GX7, and though it's a little dated, I'm rather impressed with it's functionality, performance, and unobtrusiveness in use - more so than cameras I have used from Fuji and Olympus. I can only imagine that the GH5 would be buttery! Cheers to you for being the standard-bearer of m4/3, and a bulwark against the madness of more / bigger = better. I have a lot of respect to see you challenging these notions within the professional realm. Keep on writing and shooting, it suits you impeccably. I like you "Review". Very little of these exist. As you said most focus on the technicals including mine. I own 2 GH5's and have been very happy with them as well. They are my go to cameras for professional works as well as just photography. I do have many cameras to choose from. I like the size and feel of the GH5. It fits my hand very well. I had the Olympus EM1 m2 for a while bur sold it to get the second GH5. The Olympus almost fit my hand but not quite. I do use the GH5 with Olympus Pro lenses now it has body stabilization. Love the Leica lenses as well. My standard kit has now 2 GH5's, the Leica 12-60, Oly 40-150 f2.8 and Leica 42.5 F1.2. I also like the padded Tamrac strap as well. Been using them since film cameras. Wow, is this the prequel to an upcoming "50 Shades of GH5" novel? Anyway, great essay! It's what the photo-techy review sites should also include in their content once in a while.